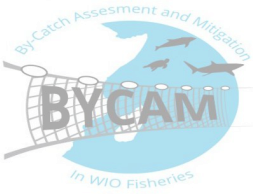 An interactive online spatial database (ArcGIS online has been developed to extrapolate the project findings to the entire WIO region and give a regional assessment of bycatch. It incorporate baseline data available in the WIO from previous surveys carried out by SWIOFP and National Fisheries datasets (e.g. CAS data) and data collected during the project duration. This fully query-able database will be used to identify areas of importance and hotspots, both in terms of risk of overfishing and population declines, and also areas where more research is required (research gaps). Large-scale habitat mapping using remote sensing data (SST, Primary Production, derived bathymetry etc.) sourced from the Natural Environment Research Council Earth Observation Data Acquisition and Analysis Service (NEODAAS). 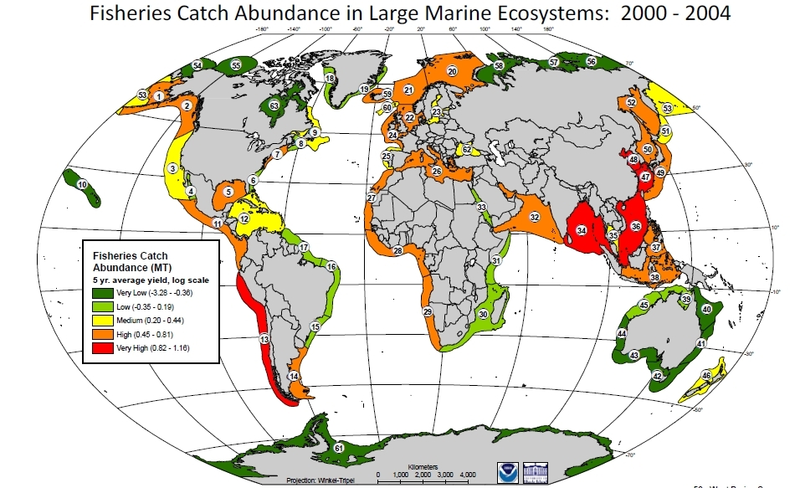 Fisheries data will be compiled for case study regions and extrapolated to other WIO fishing grounds based on available fisheries data for these other regions. Archived datasets (from SWIOFP surveys and National fisheries Datasets) will be included in the analyses. Different thematic maps will be produced (e.g. fishing grounds, migratory patterns, survey routes, fisheries effort, gear usage, bycatch species etc.) including web/online atlas maps.